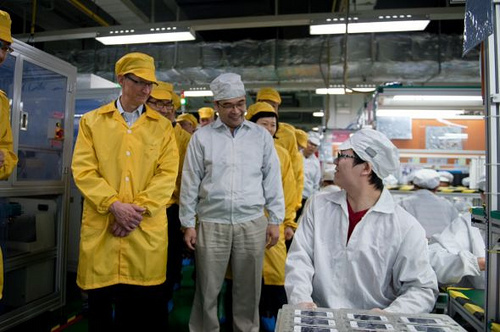 According to a recruiter at Apple’s main manufacturing partner, Foxconn, long-awaited iPhone5 will be launched on June 15th. The event is said to be held on the last day of Apple Worldwide Developers Conference, which showcases the latest innovations and the newest technologies in iOS and Mac OS X, with over 1000 Apple engineers who guide through five exciting days of in-depth technical sessions and hands-on labs. The rumor comes from the conversation recorded between the Foxconn recruiter and TV Tokyo, where the Foxconn recruiter says the company needs to hire about 18,000 people to manufacture the iPhone 5, because it seems the new smartphone will go for sale in June. We have previously reported that Foxconn was experiencing the shortage of work force and was recruiting people in an emergency mode. Although it seems that June 15th is quite close to be true, some claim that it will be day when the actual release date will be announced, not the iPhone 5 itself. Others claim that there is no hint about iPhone 5, but iOS 6 will be introduced, as the conference is mainly for developers. However the rumors about the new smartphone launch took start about a year ago and continue to be timely till now. Some other sources claim that it’ll be only in October as it was in case of iPhone 4S. What we seem is closets to logic is that iPhone 5 will more likely come in October, when all the Apple events are held when the company has something to unveil, while June 15th is the date of introducing iOS 6 – iPhone 5 apps will run on. The reason for thinking so is that it’s definitely more rational to have apps ready and available for the new device rather than to launch a new phone that will have no single app compatible for it. Should you disagree, do not hesitate to share your thoughts below in the comments.